A whey protein has clearly been established as the “top dog” in the protein supplement world, thanks to its digestibility, high effectiveness, and its low cost. While the other protein types—egg, soy, vegetable, casein, and so on—offer varying degrees of effectiveness. Whey protein has had its bona fides repeatedly tested and verified by every fitness expert on the planet. 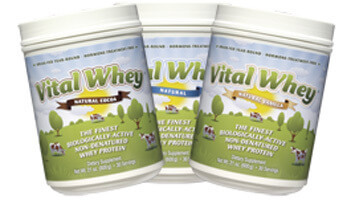 The whey isolate is the cheapest and most readily available form of whey protein. It turns out that whey concentrate is the more effective of the two options. Not only is whey concentrate lower in fat and cholesterol than whey isolate, but it also has higher levels of critical bioactive compounds. Ultimately, whey concentrate is the better choice! Below, we’ve broken down all the benefits and side effects of whey protein concentrate. So you know what to expect when taking this type of protein powder. Better Fat Loss - Whey concentrate helps to satiate your appetite and keep you fuller for longer. It also reduces oxidative stress on your cells and stabilizes blood sugar levels. This is critical for fat loss. Basically, it keeps your body balanced in a “fat-burning” state for longer periods of time. healthy functioning. Glutathione fights stress and cellular breakdown. Also can boosts your immune function, and helps to ward off diseases. You’ll find yourself far healthier and less likely to get sick when you take whey concentrate. Reduced Cravings - Food cravings (usually for something sweet) are the worst enemy of weight loss! Those cravings can overwhelm your rational mind and cause you to eat unhealthy foods. Which will set back your weight loss and diet efforts. But not with whey concentrate. The protein powder will reduce the blood sugar spikes and dips that contribute to food cravings. This will keep you feeling full and satiated for longer. All of these things combine to cut cravings and help you eat healthy. Easy Digestion - Whey concentrate is very easy for your body to break down, absorb, and use, thanks to its high bioavailability. In fact, the only protein more bioavailable is egg protein. It’s a highly valuable protein source and is easy on your digestive tract. 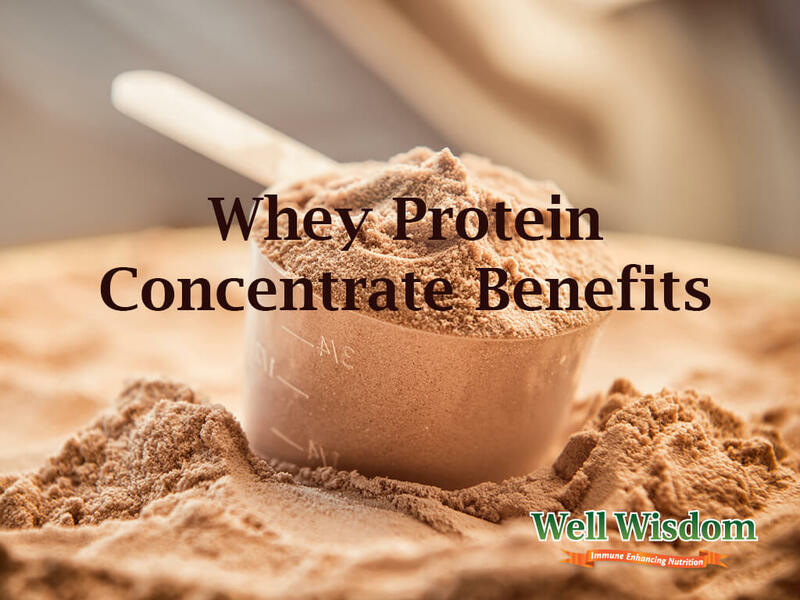 Even people with digestive issues (like IBS or sensitive bowels) will often find that whey concentrate makes an easy way to include more protein in their diets. Great for Muscle Building - Whey protein provides a concentrated dose of amino acids (25-30 grams per scoop) that will encourage the formation of new muscle tissue. Not only that, but there are specific branch-chain amino acids (BCAAs) that make up 66% of your body’s muscle fibers. By taking whey concentrate, you give your body the nutrients required to repair and build new muscle tissue. The result: bigger, stronger muscles! Faster Metabolism - Protein takes a lot more energy for your body to digest—almost twice what it takes to digest carbs and fats, for that matter. That means that you’re burning energy at the same time as you’re consuming it. This is known as the “thermic effect”. Protein’s thermic effect will lead to a higher overall energy expenditure throughout the day, meaning you’ll have an easier time burning more calories than you consume. And that, as we all know, is ultimately the key to effective weight loss! Better Cardiovascular Health - Whey protein concentrate is naturally lower in fat and cholesterol than whey protein isolate, which makes it far better for the health of your cardiovascular system. It can also help to lower your blood pressure, balance blood sugar levels, and prevent hypertension. Those at risk of stroke or heart attack will find that whey protein is one of the best supplements to take to improve cardiovascular health. Of course, losing weight also does wonders for your cardiovascular system. After all, weight loss causes your body to burn excess blood sugars and fats in the bloodstream, which means easier pumping for your heart and blood. As you can see, there’s a lot to love about whey protein concentrate. Thanks to its high nutritional quality and its easy bio-availability. It’s definitely one of the most effective supplements you can take to get fit and healthy. Allergy Risk - Like all milk-based dairy products, whey protein contains lactose, the sugar found in milk. For those with lactose intolerance, sensitivities, or allergies, consuming whey protein powder can run the risk of triggering those allergic reaction. Including bloating, gas, leaky gut syndrome, and nausea. Whey protein concentrate contains higher quantities of lactose than whey protein isolate or hydrolysate. Meaning it is the type of whey protein most likely to cause negative reactions. Digestive Issues - Even for those who are not allergic to whey protein, consuming very high quantities (more than 4 or 5 servings per day) can have consequences. People who over-consume whey protein tend to experience nausea, stomach pains, and cramps, along with reduced appetite. Others notice a headache or fatigue as a result of their excess whey concentrate protein intake. Thankfully, the solution is simple: just cut back to 1-3 servings per day and the problem should go away. Acne - This is a very uncommon side effect of whey protein concentrate, but it has been known to occur among people who consume very high quantities. The good news is that only a very few people ever encounter these side effects with whey concentrate. Thanks to its high bioavailability, it’s very easy for your body to digest and won’t put a strain on your digestive tract. 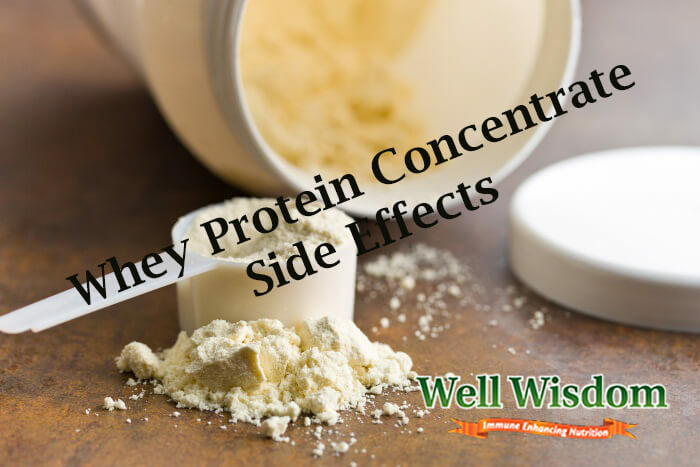 Unless you’re sensitive or allergic to lactose or you consume excessive amounts, you should have no problems when including whey concentrate supplements in your daily life! braces in Littleton including traditional metal braces, self-ligating brackets, clear ceramic braces, Damon brackets, Incognito lingual braces, Invisalign and much more. Invisalign treatment is the best alternative to braces, best suited for all those who don’t find braces easy and for all who loves to show off their smiles!